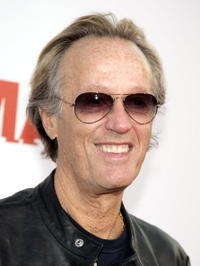 "3:10 to Yuma" star Peter Fonda at the L.A. premiere. 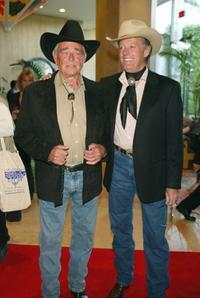 Tucker (Kevin Durand), Dan Evans (Christian Bale) and Byron McElroy (Peter Fonda) in "3:10 to Yuma." 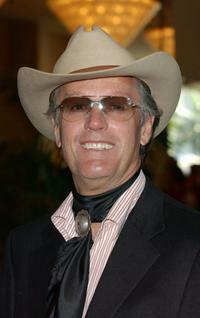 Peter Fonda as Byron McElroy in "3:10 to Yuma." 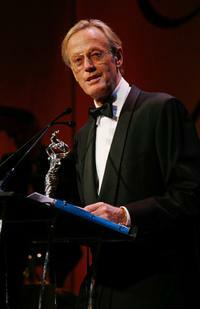 Peter Fonda at the American Society of Cinematographers 19th Annual Outstanding Achievement Awards. 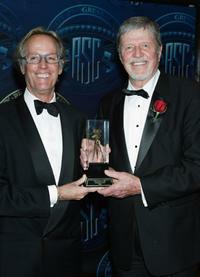 Peter Fonda and Richard Moore at the American Society of Cinematographers 19th Annual Outstanding Achievement Awards. 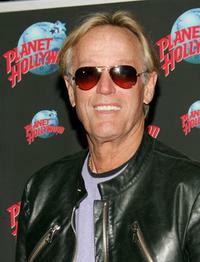 Peter Fonda at the promotion of his new film "Ghost Rider" at Planet Hollywood Times Square. 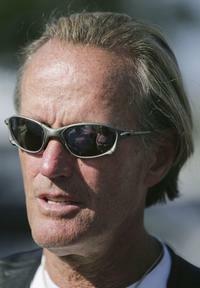 Peter Fonda at the 1st Annual Easy Ride For Autism. 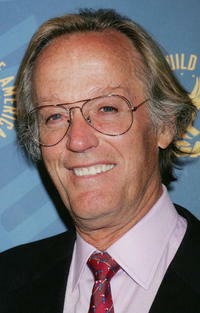 Peter Fonda and Honorees Stuart Whitman at the "20th Annual Golden Boot Awards" at the Beverly Hilton Hotel. 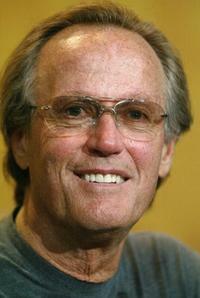 Peter Fonda at the 20th Annual Golden Boot Awards at the Beverly Hilton Hotel. 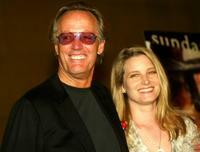 Peter Fonda and daughter Bridget Fonda at the screening of the newly restored "The Hired Hand" marking the 1971 directorial debut of Peter Fonda. 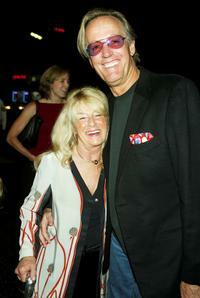 Peter Fonda and his wife Becky at the screening of the newly restored "The Hired Hand" marking the 1971 directorial debut of Peter Fonda. Peter Fonda at the press conference about the retrospective "New Hollywood 1967-1976. 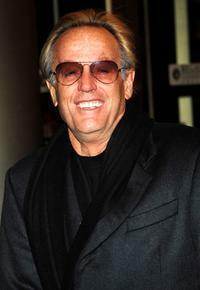 Trouble in Wonderland" at the 54th Berlinale Film Festival. 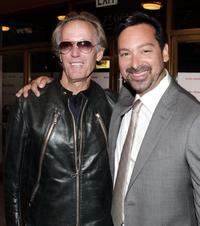 Peter Fonda and James Mangold at the premiere of "Lionsgate's '3:10 to Yuma" at the Mann National Theater. 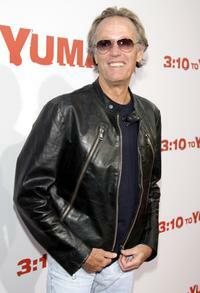 Peter Fonda at the premiere of "Lionsgate's '3:10 to Yuma" at the Mann National Theater. 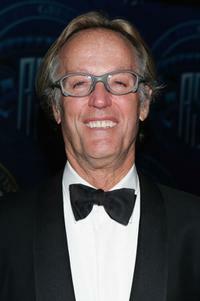 Peter Fonda at the 9th annual Costume Designers Guild Awards held at the Beverly Wilshire. 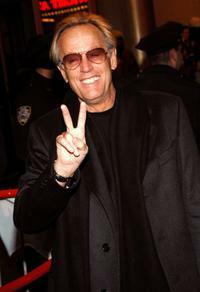 Peter Fonda at the premiere of "Ghost Rider" at Regal E-Walk Stadium. 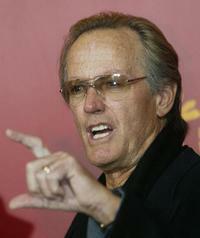 Peter Fonda, Nicolas Cage and his wife Alice Kim at the premiere of "Ghost Rider" at Regal E-Walk Stadium.